The path to youth takes a whole life. Age only matters when one is ageing. Now that I have arrived at a great age, I might just as well be twenty. I don't own any of my own paintings because a Picasso original costs several thousand dollars and -it's a luxury I can't afford. 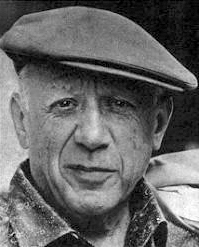 Pablo Picasso was a Spanish painter and sculptor. He is widely known for co-founding the avant-garde art movement Cubism.